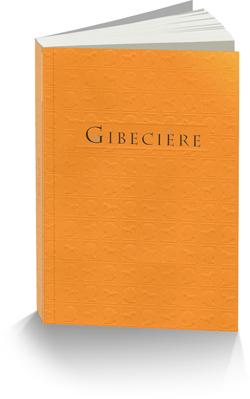 Gibeciere Has It’s 10th Birthday! Today we are publishing our 19th issue of Gibecière, and it commemorates the beginning of the 10th year of Gibecière! Stephen Minch, our editor, has done a splendid job (as usual) and we are very proud of the issue. If you are an up-to-date member and due this issue, it has already been sent to you. If you have lapsed or not yet joined, please join/renew now here. This issue is special for a number of reasons, but high on the list is introducing Pierre Taillefer to our readership. Pierre is a very serious scholar, versed in several languages and trained to do research. His article on ancient magic is brilliant, and the new information he’s discovered and confirmed about Dalmau in his second article is extremely important to the history of card magic. We are also pleased to introduce Tyler Wilson, who has discovered a previously unknown booklet, The 52 Wonders, that has one or two astonishing similarities to Artifice, Ruse and Subterfuge at the Card Table by S. W. Erdnase. Tyler tells us the story of how he found the booklet and its significance, and then we publish the whole work so the reader can decide for themselves. And last but most certainly not least, we have an excellent contribution from Mitsunobu Matsuyama about Donba-Jutsa, a mythical(?) effect from Japan.